I'm sure you've heard by now that TpT is having their annual Cyber Monday Sale on December 2nd! I can't wait!! Courtesy of Krista at Creative Clips! 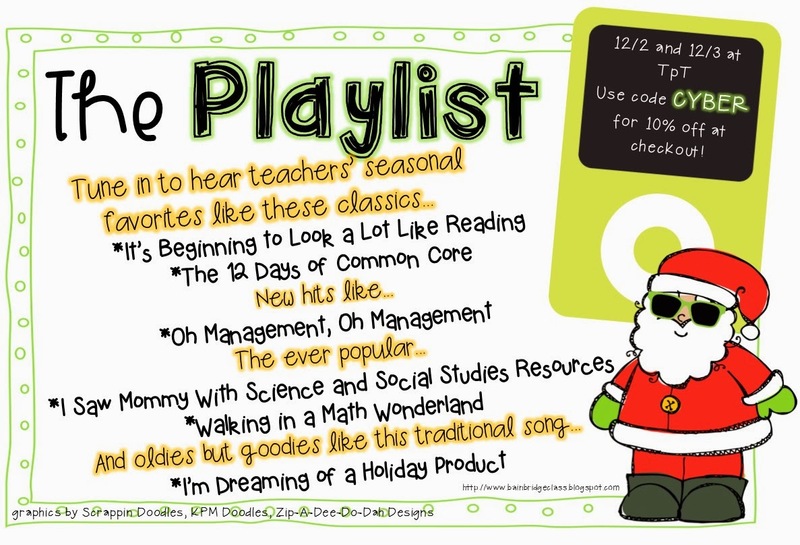 Check out the "playlist" Christina put together! I've got a few "tunes" I want to share with you today! My kiddos especially love the poem I wrote for this unit. We were working with it just before Thanksgiving, and we *may* have used it for a few brain breaks during the week. They loved reading it in different voices (a baby, a teenager, a granny) and it really started to build their reading fluency. I'm looking forward to using other poems the same way when we go back this week. I listed this fun pack just after the holidays last year, but my kids and I had a blast using it! I'm "dreaming" of how easy it will be to review nouns and verbs with the sentence sort on Monday as a quick grammar lesson. We will start reading our large collection of gingerbread stories this week as well, so you will see our reading responses pop up soon, too! This time of year seems to be "crunch time" for our kiddos in terms of fact fluency. As part of their morning work for the next few weeks, my kids will be able to practice their facts with these easy-prep games! It seriously took me 10 minutes to print, laminate, trim, and find my game chips. What I love is that because they are so easy to prepare, my kids can work on whatever facts they need the most practice with right now - addition (2 levels) or multiplication (2 levels). I'm hoping to add more boards to these as well in the next couple of weeks - be on the lookout! Alright, bookworms! I'm off to go "organize" my wishlist and sip on some coffee with my sweet Mama and Daddy. I have been at "home" for a few days and I am soaking up every second I can in the North Carolina mountains! 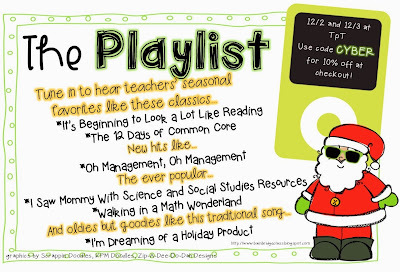 Make sure you check out the rest of the playlists over at Bunting, Books, and Bainbridge!